weeblrAMP-generated Accelerated Mobile Pages have a simple layout, and include some basic meta data, needed to properly identify each page. 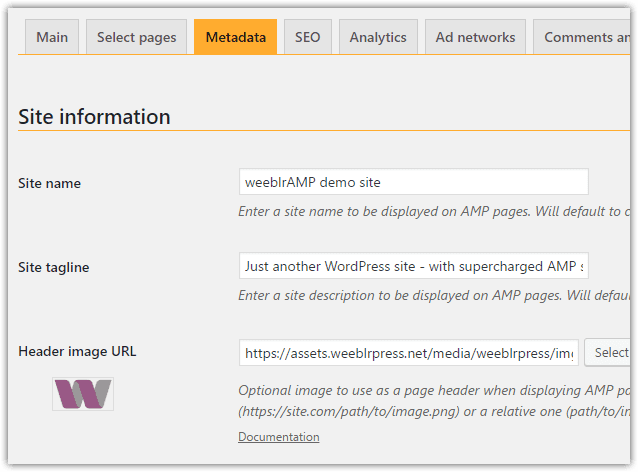 Your site name and tag line are used as basic meta-data to be included on AMP pages. By default, we will pick up the page title and tagline set for your site, so you should usually not have to do anything here. 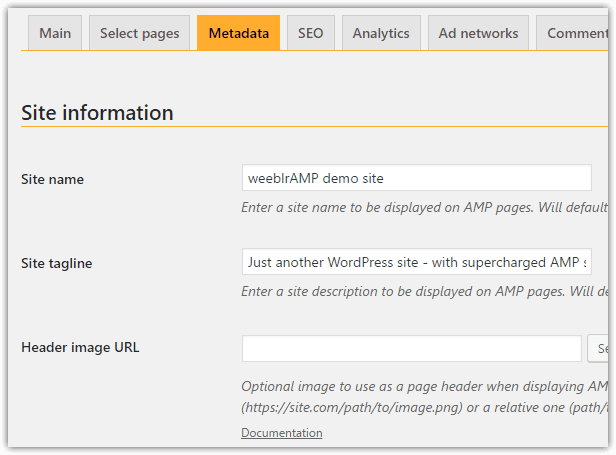 This step is not required for AMP validation, but we advise that you fill-in some information about you here, as this meta data is a requirement for your AMP pages to be included in the AMP carousel or Top stories sections in Google search results. 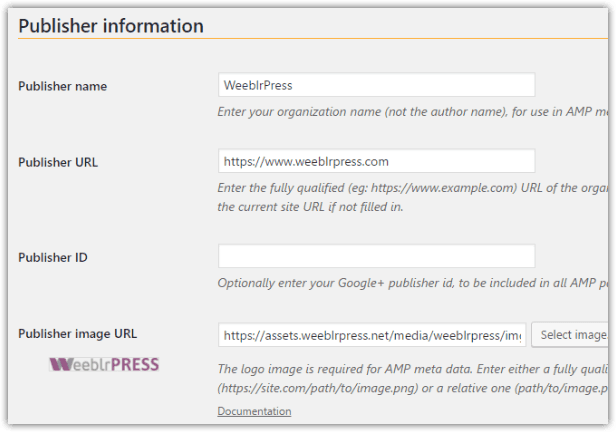 They will be added by weeblrAMP to the meta data of your AMP pages, and should help in consolidating authority of your organization. If you enter a publisher name, you must also provide a logo (or 'publisher image'). The Publisher ID is optional, but recommended, as it links to together your content under a Google+ account, which is possibly benefitial.